There are two main reasons people use the Internet: to share things and to be informed. Thankfully, with modern code-free site builders, you don’t need a programming degree to design your own website and start sharing with others. You just need an interest and passion. 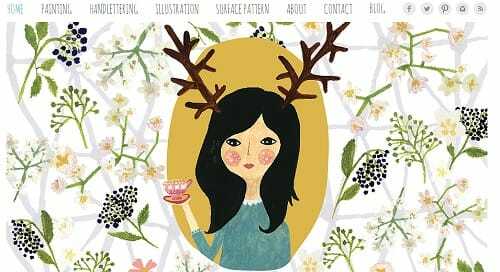 Today, we want to showcase some of the wonderful DIY websites created using Wix website builder. Today’s compilation shows websites with built-in Wix blogs. Please notice that the screenshots we’ve taken may give you a wrong impression about the whole design of these websites. We recommend that you take a closer look at each website to see their structure, headers, footers and other elements. 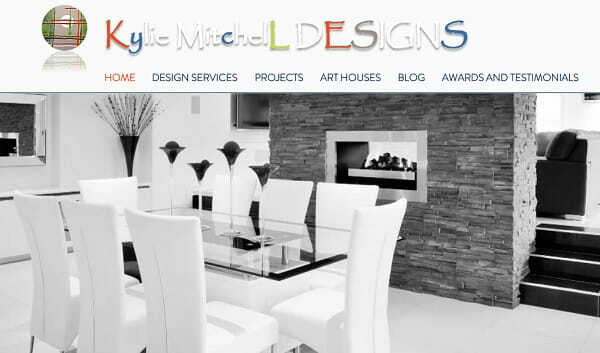 Kyliemitchell.com.au is a website belonging to Kylie Mitchell – the designer, who managed to combine her passion for housing and visual arts in stunning creative home design projects. The most interesting ideas and approaches are provided in the blog, which is connected to the website. The general blog design is simple yet attractive, with the bright high res photos of projects standing against the white background. The blog is managed and updated by the author and is the place, where Kylie shares her up to date info, pics, thoughts and project ideas. The blog is regularly updated and you can come across recently published posts as well as archives and social account access buttons. It’s also possible to search information by tags here. 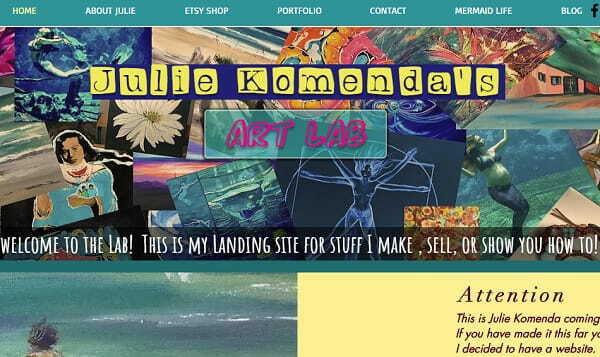 Juliekomenda.com is the website of Julie Komenda, where she sells her handcrafted items and shares the ideas and how-to-guides. The blog as well as the website has appealing and unique design, with creative and artistics approach manifested in all the elements. The blog contains All Posts and Events sections, where Julie publishes recent news and upcoming events. The search filter option simplifies user search and there is also a commenting feature enabled for each post. It is a convenient addition for users, who visit the blog for the first time and are not aware of its structure. The telephone number and the email of the author are provided in the footer to make it possible for users to get in touch with Julie, when they need that. 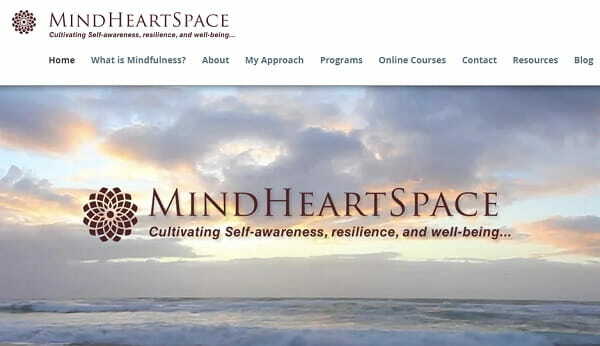 The only look at Mindheart-space.com homepage creates soothing and calm impression due to the relaxing seaside video background it contains. The website belongs to Adrienne Lopez, who sees her mission in helping people feel relaxed and supporting their individuality. The community blog comes with useful articles related to the website topic. It notifies users about the events happening in Adrienne’s life, her vision of the surrounding world, her ideas and special offers for current and potential subscribers. There are the Recent Post and Featured Post Sections with the most interesting articles. The Search by Tags category makes it possible to look for thematic articles by tags, while the extensive Archive offers a list of posts categorized by date. Readers can follow the blog updates in the social networks by joining the groups. 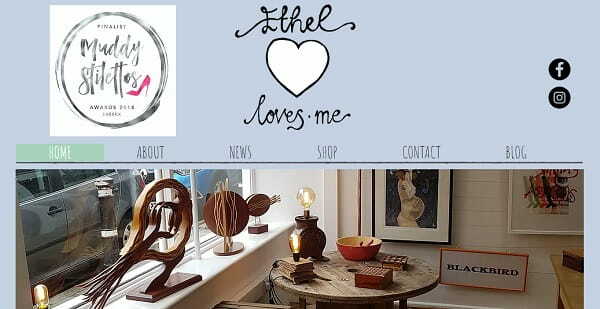 Ethelloves.me pesents a range of unique works of art and rarities, many of which are offered in limited editions. The website comes with the eCommerce feature, which offers a variety of original pieces created by Ethel. The blog design is appealing, gentle and a little bit childish, but this creates simple and trusted atmosphere. The blog section encompasses lots of articles about Ethel, her most popular works and creative ideas. For those readers, who are interested in the author’s creativity, there is the Featured Posts, the Recent Posts and the Archives sections, where they can review the previously published posts. Social network access is also available here to grant an opportunity to follow the news of the blog and the updates as soon as they are published. Laceysbridalboutiqueclacton.co.uk is the website you just can’t pass by after you visit it for the first time. The gentle, romantic and inspiring video background triggers the desire to keep exploring the website to see what the author has to offer. The Blog section is entitled “Lacey’s Girls”, which vividly reveals its essence. This is the section, where you will find the most intriguing posts of ladies, who are excited to share their wedding stories and the contribution Lacey has made into each of them. By following the stories that come with multiple original images, you can find out many tips and tricks that will help make your wedding planning hassle-free. This is a kind of the how-to guide to successful wedding preparations. 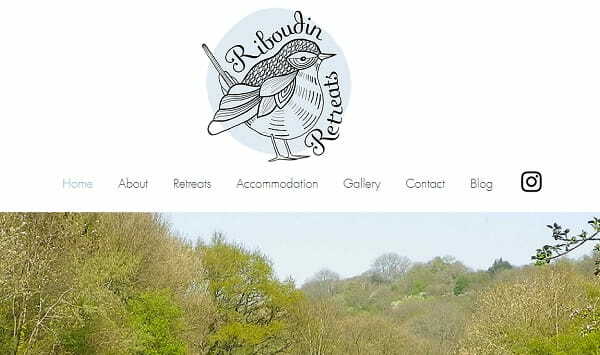 Riboudin.com is a France-based residential retreats place, where you can relax and forget about your everyday troubles, practicing yoga, relaxation, meditation and wellbeing. The blog as well as the website in general looks refreshing and bright, with colorful welcoming photos of the place and the services you can avail there. There are also many informative posts on healthy living, recipes, meditation and other relaxation recommendations. The Archives section, the Featured Posts as well as the Search By Tags features make it possible to find the posts you are interested in with no special effort at all. Do you wish to receive the blog updates? Then subscribe to the website newsletter to stay informed about them. The contacts of the place are available in the footer for quick and convenient access. Borba.pl is written in Polish, but that’s nothing a quick Google Translation can’t cure. They really care about the visitor and user experience. The homepage uses card style design that instantly informs the visitor about the company’s focus. By clicking on a card you’re redirected to the shop section where you can browse the products and make orders (the website uses Wix’s in-house Commerce platform). The website has a blog where the site owners write on what’s trending in the industry of bags, share fashion looks, and advertise their own products. The design of the site looks quite simple, with all the photos and products listed in the catalogue being displayed against the snow-white background. However, as you start browsing through the catalogue or reading the texts that come with each product, you start realizing that this simplicity is a real merit. It helps focus the attention of users on those things they actually need. This is the site, where nothing distracts you from your major objectives – communication and shopping. Another thing that cannot be left unnoticed here is the quality of photos, which come with each product. These high-resolution images look so natural that you have the desire to place an order the moment you see them. A nice decision for a blog that offers convenient shopping options! MikoDesign.nl is a website of the Rotterdam-based design studio owned and operated by Erika Harberts. Erika really wants to spread creativity amongst her readers. Her blog has a clean look, lets you search by tags and also has Recent posts and Featured posts blocks. The website features clean, neat and eye-pleasing design. There is nothing that distracts the attention of users here. On the contrary, all the elements are in their places, adding to the ease of search and convenience. This is what makes the site user-friendly and simple to browse through. The home page does not contain much info about the blog, its owner or the messages she would like to convey. Instead, this information is available in 9 sections of the main menu, which do not include detailed information about the blog only, but also provide video and photo tutorials, articles and contact data. The blog comes with the incorporated online shop, where the best original author’s works are offered for sale. Each of them is available with the high-resolution photo and the description, which adds to the ease of choice. Simple but efficient blog sample created on the basis of the Wix platform! Anyone on diet, beware of the TheScranLine.com website; it contains imagery that’s going to make you really hungry! The mouthwatering blog is owned by Nick Makrides, an Australian pastry chef and amateur food photographer. The Scran Line reflects Nick’s passion for food and design and his outstanding capabilities as a photographer. Nick’s website impresses with attention to details and creative approach. His blog uses an almost ‘classic’, well-known Wix’s blog design, but it’s still incredibly beautiful. What’s the secret? Nick makes use of a white background that winningly emphasizes the delicious imagery. The result is impressive – the blog looks fresh, clean and professional; the position of site elements is well thought-out. Nick surely knows how to make the most out of Wix. 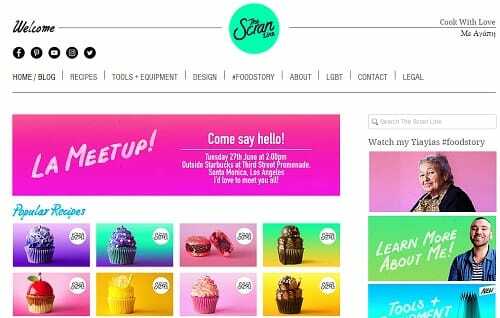 Besides Wix’s blogging capabilities, he uses the gallery feature to showcase his design-related works, a newsletter sign-up form, a contact form and social media integration. The website is branded from the favicon to the footer. Congrats on a beautiful website, Nick! 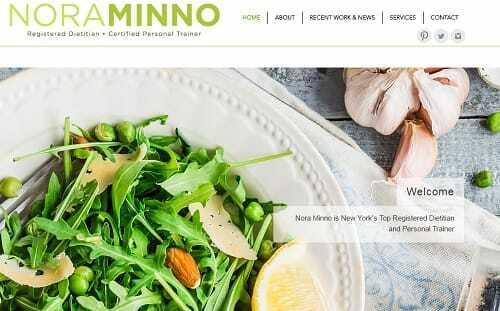 NoraMinno.com is a website of a registered dietitian and certified personal trainer based in New York, NY. Her minimalistic blog has clean typography and fresh color palette. It helps her share her passion for fitness and healthy lifestyle. The first thing that catches that attention of users, who visit this Wix-based blog, is the large slider that features clear high-resolution photos and the texts that encourage visitors to keep browsing through the blog. It seems like all information you may be interested in is found here. The slider may redirect you to any section you need based on the headlines you will see on the photos. Apart from that, the home page involves the widgets of social networks you can visit to share your ideas and thoughts related to healthy nutrition and way of life with like-minded users. This is very convenient and helps save your time! 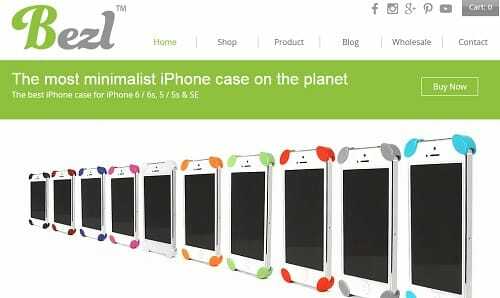 What caught our attention about BezlDesign.com was the generous use of whitespace. They understand that they’re not just giving out info, but looking to turn readers into customers. BezlDesign’s blog has a solid visual structure that provides lots of info without overwhelming the reader. The blog is created by means of using the benefits provided by the Wix website builder. This is correspondingly reflected in the design of the site. The white background we’ve already talked about effectively points out the merits of Bezl Products. The color palette of the site helps emphasize the effect, thus attracting new customers. Among the other convenient features, it makes sense to mention the availability of detailed information about the product the blog is devoted to. You don’t have to browse through the site looking for the info you need in other sections. Just scroll down the home page to see the characteristics of the products and the advantages they offer you. If you still have any doubts regarding the purchase, the Customer Review section found in the lower part of the page may help you make the right choice. 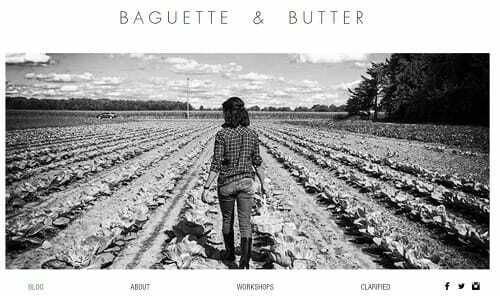 BaguetteAndButter.com is owned by Amanda, who’s an urban farmer, chef, photographer and writer. Her blog integrates her recipes and stories. It’s all about minimalism, attention to detail and sound use of fonts. This Wix-powered blog involves all the features most users appreciate these days. The extensive use of whitespace helps draw the attention of visitors, while clear and large photos make the impression even more pleasant. The content of the website is not limited to the blog section only. The author also presents interesting and simple recipes that can make your whole day – so delicious and unique the dishes are! All in all, the website looks a bit simple, but this does not prevent the users from visiting it over and over again. The blog is well-structured, informative, interesting, easy to read and contains lots of recommendations you may need in different life situations. A nice sample of a blog, the popularity of which is out of the question! Soup-Studios.com is a professional Wix-powered website that belongs to Derek Edward Pfohl, the experienced restaurant photographer, who has decided to create the site to bring his creativity, logic and soul in one place. The site looks professional from the very first page, which prohibits the reprint, redistribution or reproduction of the available materials. When you visit the homepage, you are amazed with its design, which looks attention grabbing and comes with a juicy color palette. The prevailing part of the homepage represents a large photo that focuses the attention of users on the topic of the blog and reveals the professionalism of the author right from the start. The site navigation is easy and understandable, with only 6 main menu sections. This, however, is enough, to get the maximum information about the author and his works. The gallery is represented by two categories depending upon the type of project a user is interested in. All in all, the blog caters to the needs of visitors looking for a qualified photographer! Nice job! AngelinaDarrisaw.com is a personal website that belongs to Angelina Darrisaw, an international business and career coach, brand ambassador and digital media strategist. She is the founder of C-Suite Coach, a career coaching and content platform providing career and coaching content to people, who need this info. The site is designed on the basis of the Wix platform and is one of the best samples of blogs available on the web. The design of the homepage adheres to the topic of the site. The elements it involves merge into one single project that represents the author of the site and her professional activity in the most favorable way. The light gray background of the homepage helps focus the attention of users on the photo of the author and information about her. The homepage includes 7 main menu points listed in the upper part of the page. These are “Home”, “About”, “C-Suite Coach”, “Press”, “Blog”, “Appearances” and “Contact”. Each category abounds in high quality photos, videos, articles and other information a visitor may be interested in. This is quite a successful personal blog sample that will certainly be a success! JanAvellana.com belongs to the talented artist and writer. The site is named after the author and represents her creativity in the most favorable light. The blog has distinctive, clear and neat design, with lots of appealing elements that highlight the messages of the author revealed in each post. The white background of the homepage contributes to better visibility of the content. The blog abounds in interesting articles written by Jan Avellana to describe her life and events she has lived through. One of the highlights of the blog is the images and quotes that come with each post and reflect the thoughts of the author in a precise and understandable way. The author of the blog pays special attention to the timely content updates. The only disadvantage of the blog is small fonts that are barely visible even on the light background of the home page. This complicates the process of reading and may be a serious hinder for some users. While it can be hard to create a truly unique blog that will be different from the many found online, it’s incredibly easy to start a clean, well-structured blog where all content is presented smartly so reading comes easy for your audience. Colorful headers and custom drawn backgrounds don’t make a good blog. The blog needs a smart visual structure and a profound hierarchy of site elements. To create an outstanding blog you need fresh ideas and creative approach, however, you don’t need to go to far experimenting with design. Never overcomplicate your site just to make it ‘unique’. Don’t go overboard, keep it simple. Сreate a Free Blog with Wix!